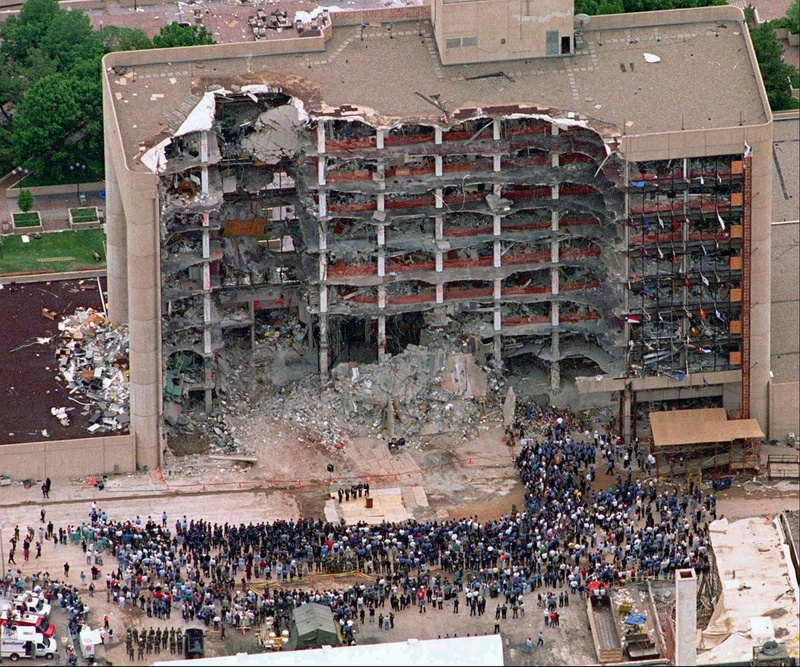 On April 19, 1995, at 9:02 a.m. CST, our nation experienced a profound tragedy in the terrorist bomb attack on the Alfred P. Murrah Federal Office Building in Oklahoma City. Sixteen SSA employees were among the 168 people who lost their lives in the bombing. This page commemorates those SSA employees. 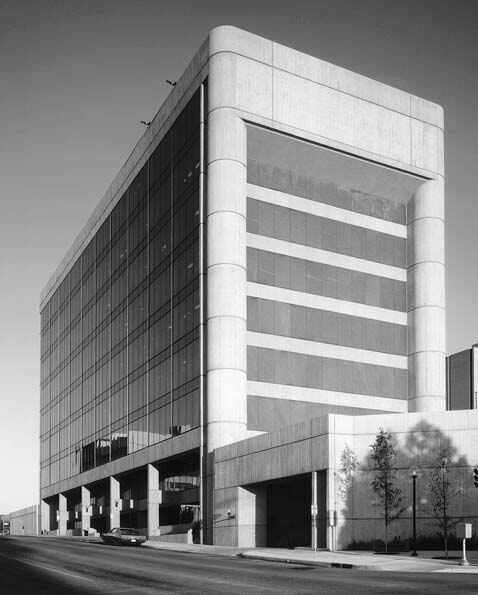 In this oral history interview, Eric McKisick, an employee with the Social Security Administration and a survivor of the bombing, tells his story of that fateful day. the May 23, 1995 demolition of the building. In addition to the written memorials, SSA planted a Memorial Garden outside the front entrance to Social Security's headquarters in Baltimore, as an additional tribute to our fallen employees. on the occasion of the 5th anniversary of the bombing. 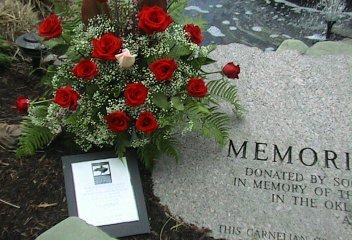 Shortly after the April 19, 1995, bombing of the Alfred P. Murrah S Federal Building in Oklahoma City, Oklahoma, a fund was created for the establishment of a memorial garden at the Social Security Administration's (SSA) national headquarters in Baltimore to honor the SSA victims who died in the explosion. A committee of management, union, headquarters and field employees, including a survivor of the blast, helped design this symbolic display, which captures the agency's sense of loss. The centerpiece of the garden is a redbud tree, the official state tree of Oklahoma. The tree was planted during a ceremony held on May 19, 1995--exactly one month after the Oklahoma City tragedy. The redbud is encircled by Indian Blanket, the Oklahoma state wildflower. The garden walkway is made up of 16 sections, each representing an SSA victim who died in the bombing. A pond, featuring a water recirculation system, sits behind a large slab of camelian stone that was recovered from the ruins of the Murrah Building. Four kidney-shaped islands form the perimeter of the garden area, featuring white azaleas, crepe myrtle, tulips and pansies. The white of the azaleas and the green foliage of the islands symbolize the Oklahoma state colors. Black-eyed Susans, the state flower of Maryland, represent the link between the employees in headquarters and the employees in Oklahoma City. The memorial garden area is wheelchair accessible, and many of the garden's features have been created with the needs of the physically challenged in mind. The recirculating pond and certain aromatic flowers and plants are provided for the enjoyment of the blind and visually impaired. The beautiful shrubs, trees and flowers of the SSA Memorial Garden serve as a living monument to the dedicated and loyal members of the SSA "family" who lost their lives in this senseless act of violence.